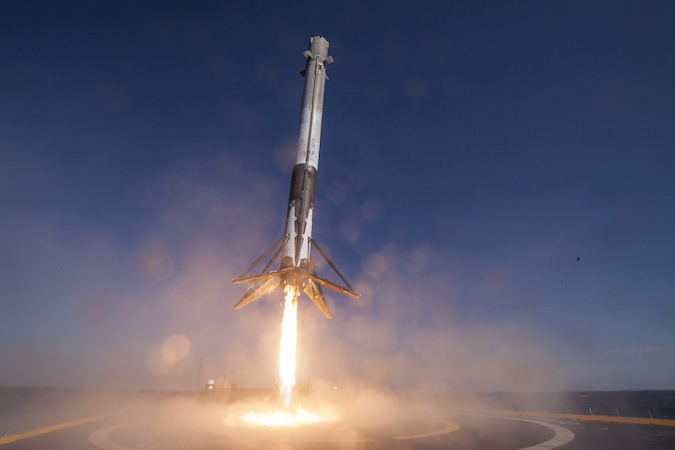 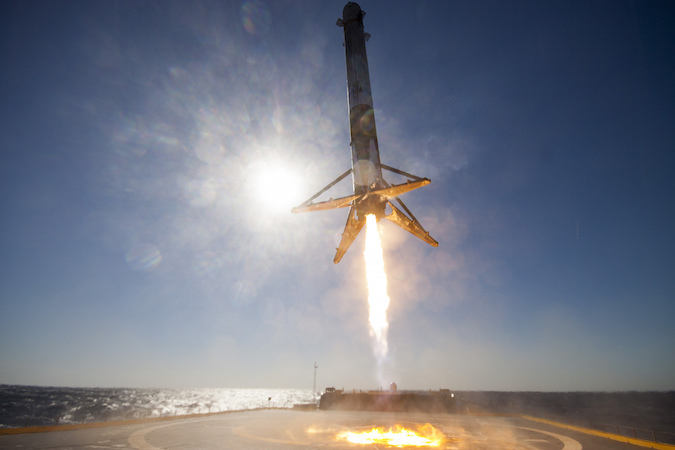 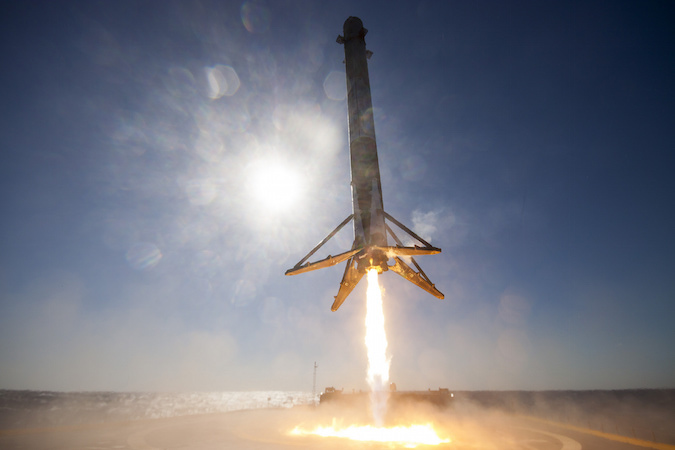 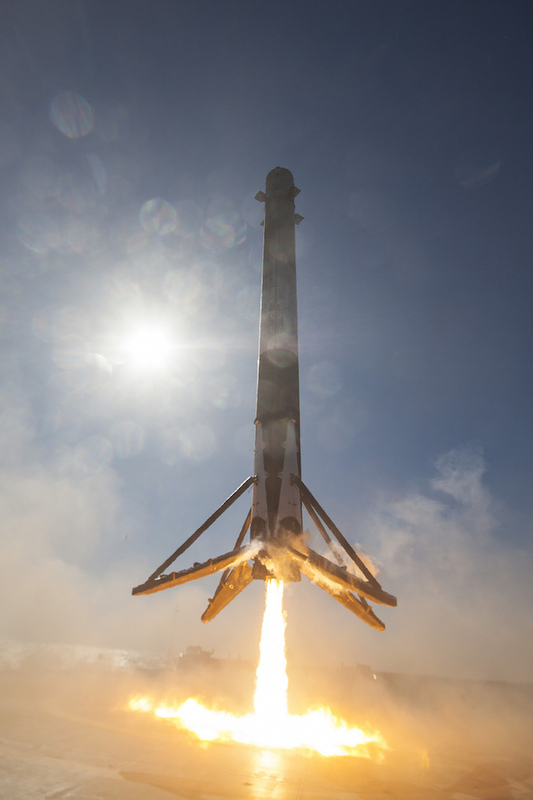 SpaceX has released new photos of last week’s thrilling rocket landing aboard a floating drone ship in the Atlantic Ocean, showing the 15-story Falcon 9 first stage slowing to a hover just as it touched down on the platform. 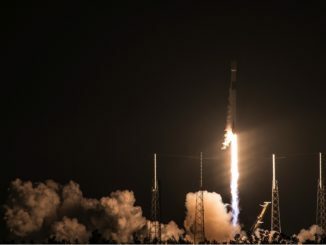 The first stage booster landed less than nine minutes after launching from Cape Canaveral on Friday with a Dragon supply ship heading for the International Space Station. 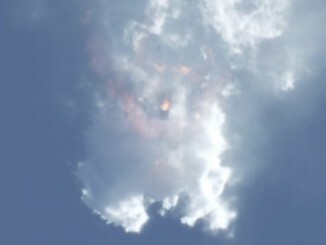 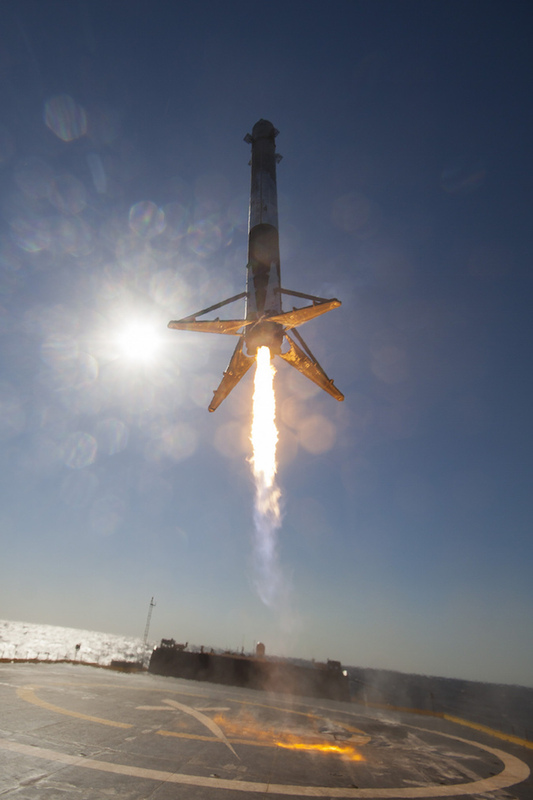 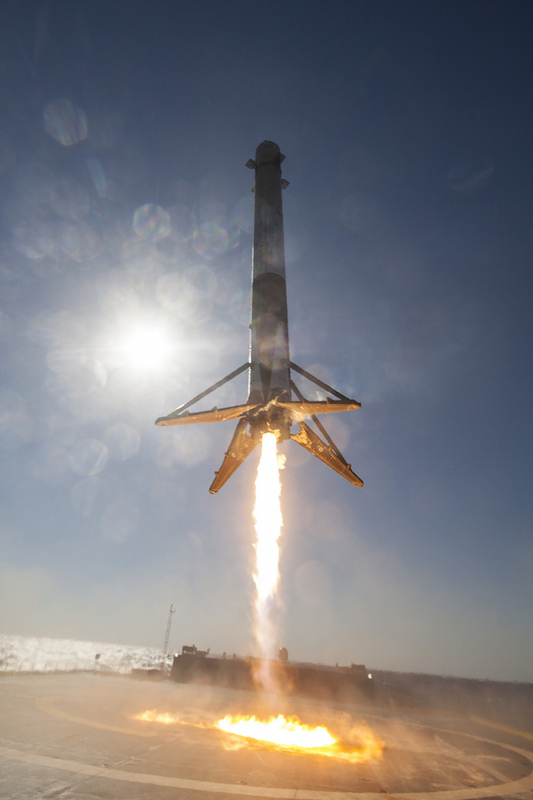 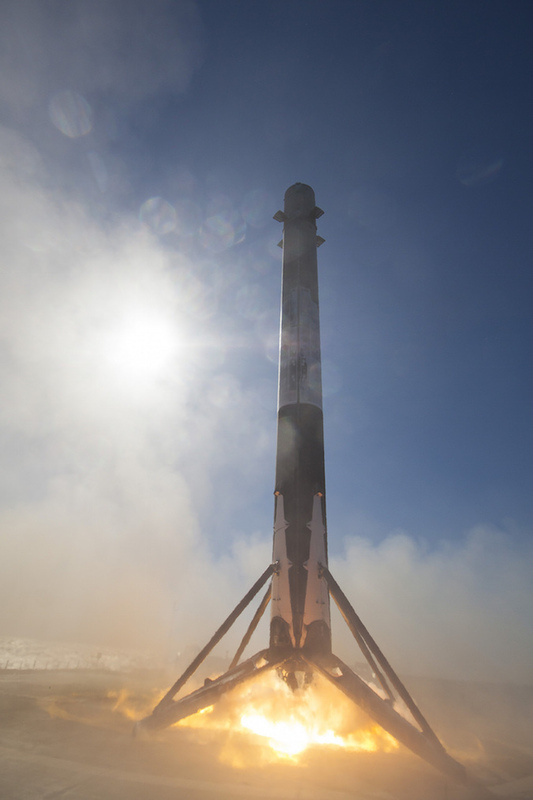 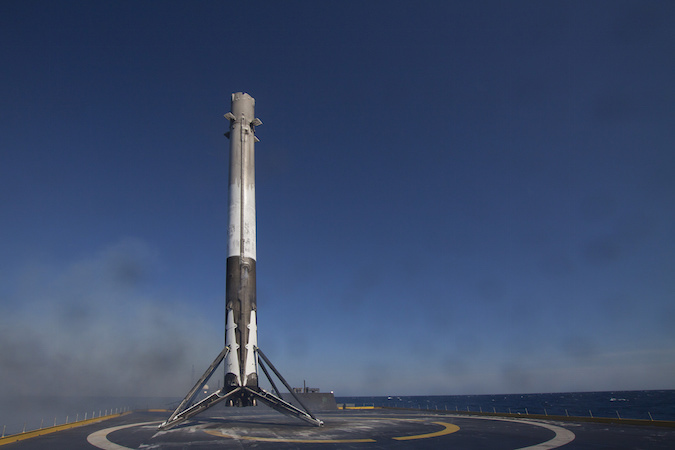 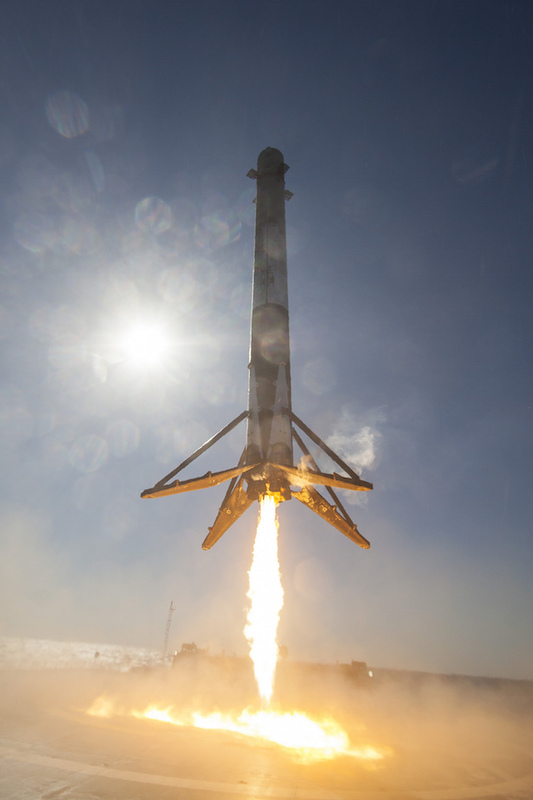 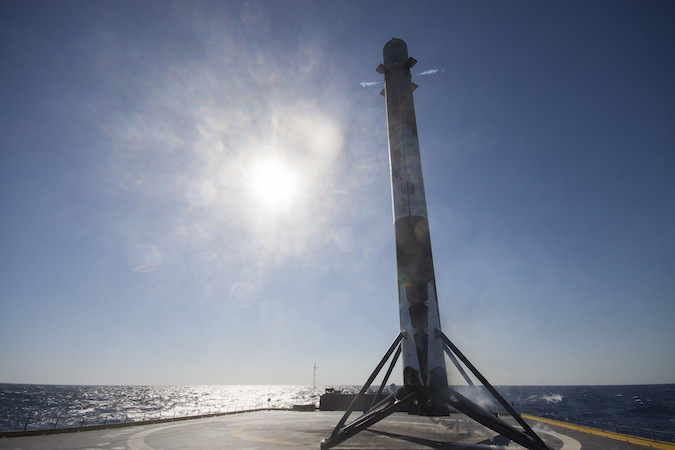 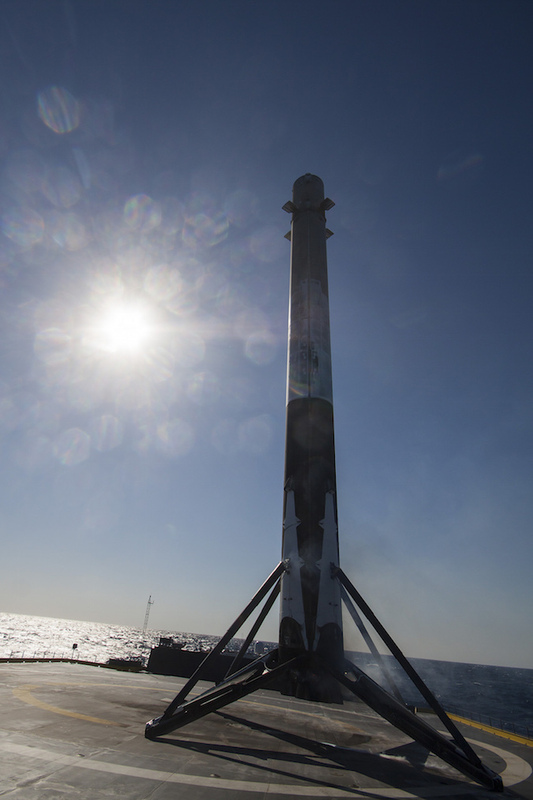 It marked the first time SpaceX has landed a rocket at sea. 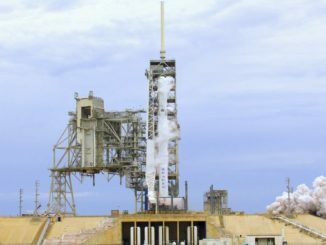 SpaceX plans to inspect and test the recovered rocket stage, planning to refly the booster on another orbital mission as soon as June.